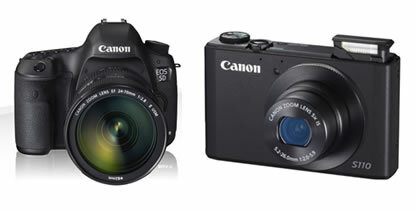 Focus quickly and accurately, even on off-centre subjects, with a 61 point wide-area autofocus system. Featuring 41 cross-type points, 5 of which are extra sensitive double-cross type to ensure highly accurate tracking of moving objects. In our brand new High-Tech Adjustment Room, the latest test equipment and adjustment software is used. 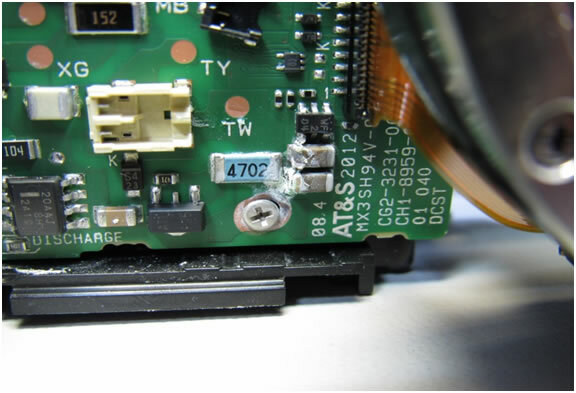 Our technicians are trained by Canon and are able to repair all your equipment to the highest standard required to be an authorised repair agent. 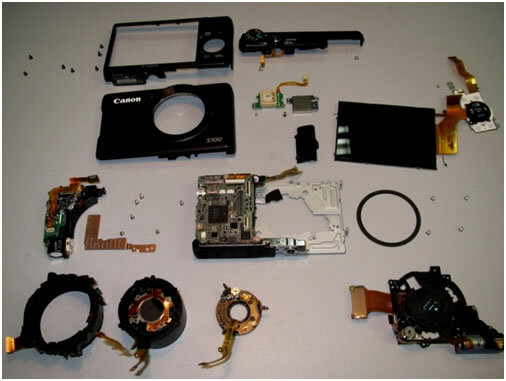 We can repair all of your Canon photographic equipment from your Digital Compact System Camera to your Digital SLR kit and accessories. With our 50 years of knowledge and expertise, Thomas Camera Services Ltd has the skills to get your equipment in working order for you to take the perfect picture! 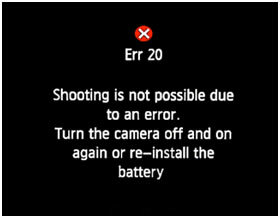 If there is a problem with the camera or lens, an error message will appear. 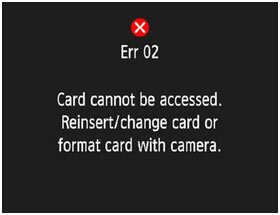 If an error still persists, write down the error you are getting and contact us so that we can get your equipment working again. To send your equipment into us, print and fill out the pdf repair form. If you cannot print the repair form, please provide the necessary information in a separate letter using the repair form as a guide. Back up your photos - Move your images from the camera to the computer before you start deleting or editing them. Learn how to use your camera - Try to use your camera in other modes rather than in fully automatic mode as it is capable of much more. 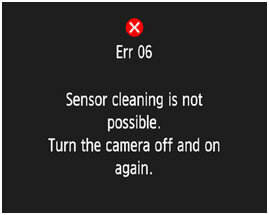 Keeping your sensor clean - You can limit the amount of dust/dirt that finds its way on to your sensor filter by keeping the camera stored in a case when not in use. Be cautious when changing lenses. Try pointing the camera downwards; this will help to prevent dust from falling into the camera by gravity. Choose RAW - If you have the option, choose RAW to have the most editing options with the right software. If you use JPEG, use the least compressed setting. Using the shutter button correctly - The shutter button has two steps. 1. Press the shutter button halfway. 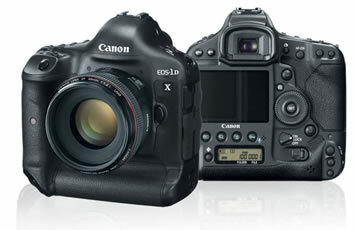 This will activate the autofocusing and automatic exposure. 2. Press the shutter button completely. 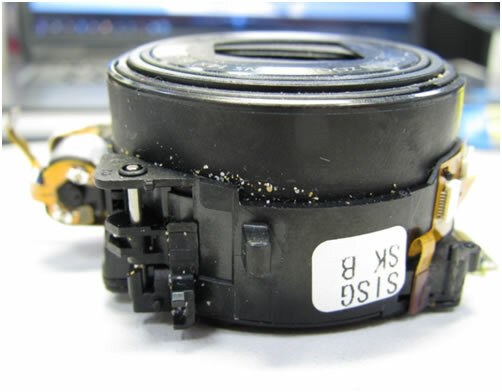 This will release the shutter and take the picture. If you press the shutter button completely without pressing it halfway first, the camera will take a moment before it takes the picture. If you move the camera before the picture has taken, this may cause 'camera shake' (blurred images.) Preventing camera shake - Hold the camera steady by wrapping your right hand around the grip firmly and holding the bottom of the lens with your left hand. 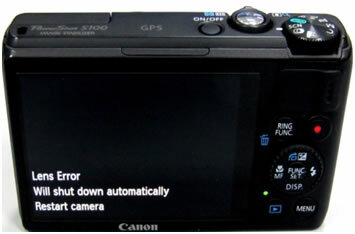 Then press the shutter button halfway to autofocus, and then slowly press the shutter button completely as stated above.